Watercress is high in phytochemicals and may help to reduce your risk of certain cancers. Watercress contains glucosinolates which are activated to compounds called isothiocyanates. They get activated when cut or chewed. These compounds protect against cancer by protecting healthy cells from damage. They cause they inactivating of carcinogenic chemicals and block the growth and spread of tumors. Research has shown that watercress has been helpful in the prevention of lung, prostate, skin and colon cancers. Watercress is great for bone health because it contains calcium, phosphorus, potassium and magnesium. One cup of watercress has more than 100 percent of the recommended daily intake of vitamin K which is a component of osteocalcin. That is a protein that makes up healthy bone tissue and helps to regulate bone turnover. Lutein and zeaxanthin are found in watercress and they are antioxidant compounds of the carotenoid family. Both of these compounds are necessary for the health of eyes. Lutein and zeaxanthin are known to protect your eyes against damage from blue light as well as lowering the risk of developing age-related macular degeneration. Packed with antioxidants, a diet rich in watercress may help to protect against cell damage caused by free radicals. Free radicals are molecules that are harmful which can lead to oxidative stress. This stress has been linked to diabetes, cardiovascular disease and various cancers. A recent study found that watercress outperformed all other cruciferous vegetables in total amount of phenols and their ability to stop the free radicals. Is watercress safe to eat while pregnant? 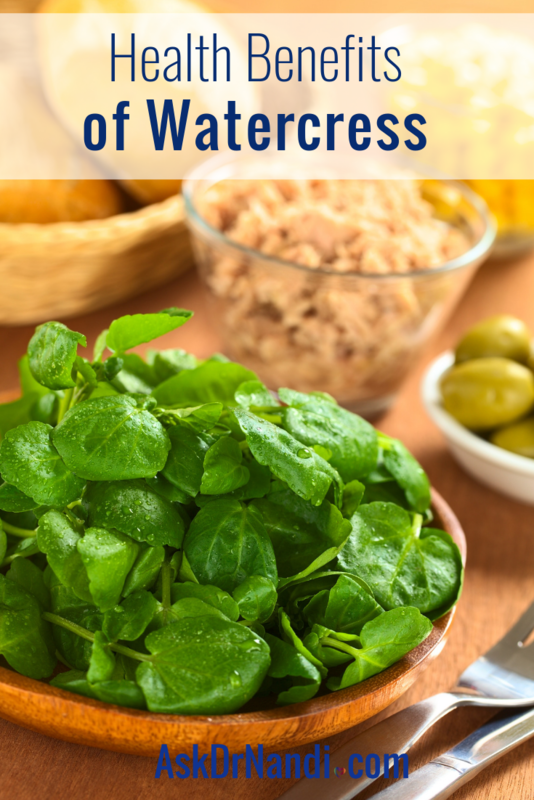 Yes, Watercress is considered to be one of the healthiest food options for pregnant women. Eating a serving of watercress will supply you and your developing baby with various amounts of key nutrients. Can watercress lower blood pressure? Watercress contains a high level of dietary nitrate. Most fruits and veggies contain high levels of naturally occurring dietary nitrates. A recent study found that adding nitrate dense vegetables such as watercress can lower blood pressure in just 3 days. Any health risks of watercress? 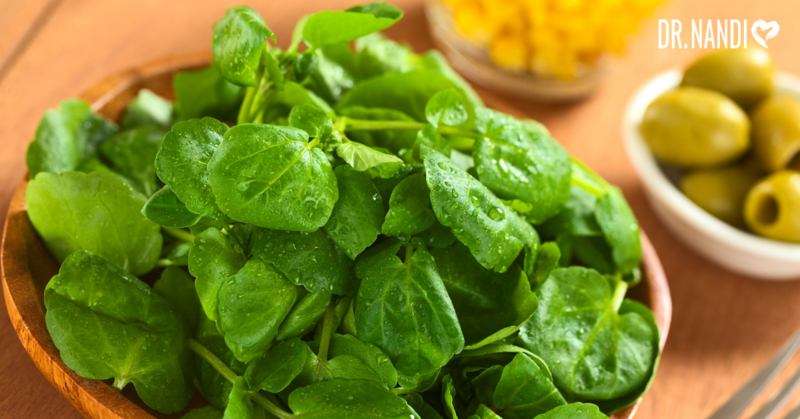 Large amounts of watercress have been known to cause stomach upset and kidney issues. Pregnant women should not use medicinal amounts of watercress because it can start menstruation.